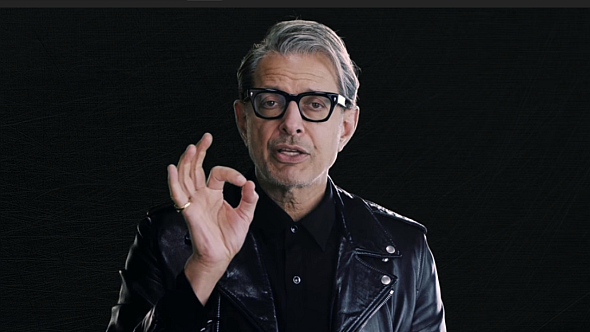 Jeff Goldblum, arguably the Internet’s most lovable man, will reprise his role as Dr Ian Malcolm in Jurassic World Evolution. One entry on our list of exciting upcoming PC games just got a whole lot more exciting. Jeff says “I’m gonna be with you the whole game,” which I guess means Jurassic World Evolution is tossing away the films’ thriller aspect to wholly embrace the tranquility of the management sim genre, because how is anyone supposed to feel unsafe around Jeff? It sounds like he’ll be one of the players’ in-game advisors, walking us through the moral choices and tactical decisions that we’ll need to make to avoid getting all our guests killed by our bioengineered saurians. Jurassic World Evolution is due out this summer, possibly in June to coincide with the release of Jurassic World: Fallen Kingdom, the latest movie in the franchise. Jeff will appear as Ian Malcolm in that movie, too. No need for us to review it, then.